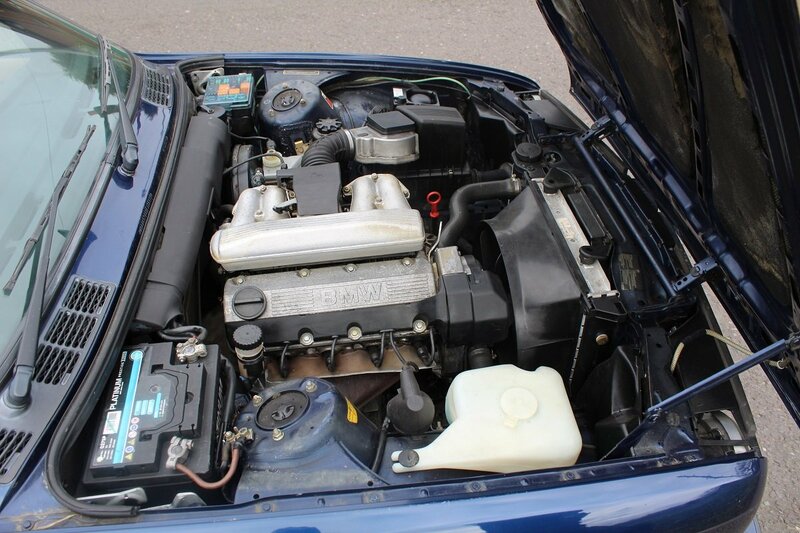 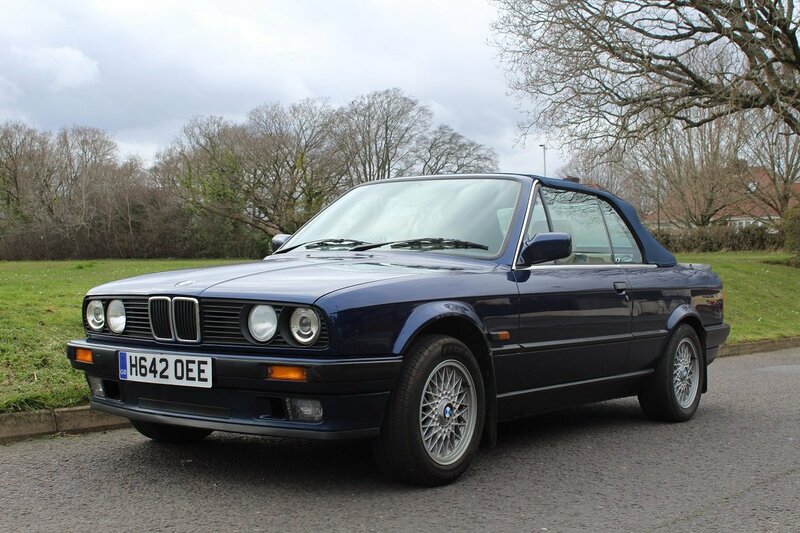 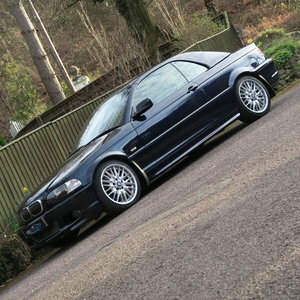 This 318 Convertible has covered 81,810 miles and has an MOT until Oct 19, it passed with no advisories. 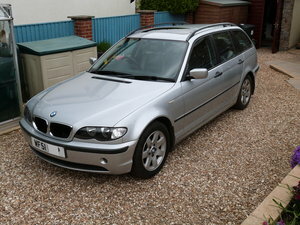 Has just been freshly serviced, including new cambelt, new thermostat, cleaned throttle body and new exhaust system. 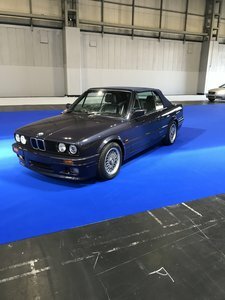 Finished in Mauritius blue with a unique bespoke tan and blue interior with a tan roof cover. 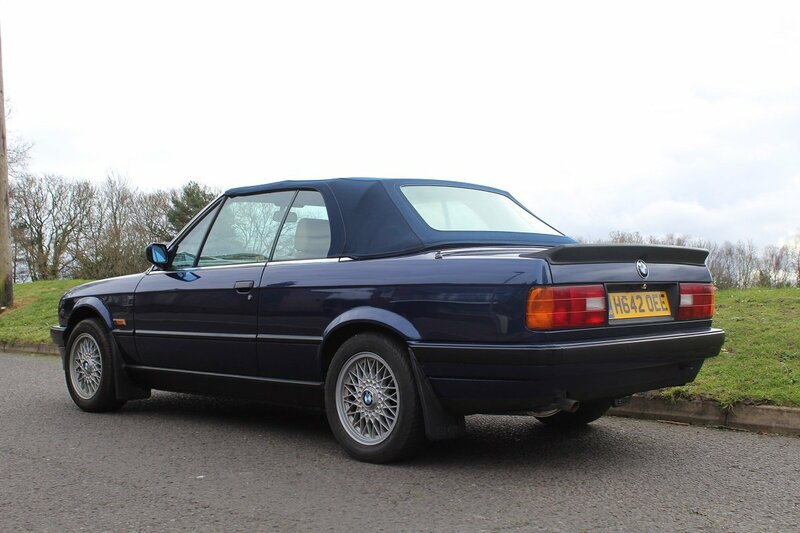 It is finished off with a blue roof with white stitching. 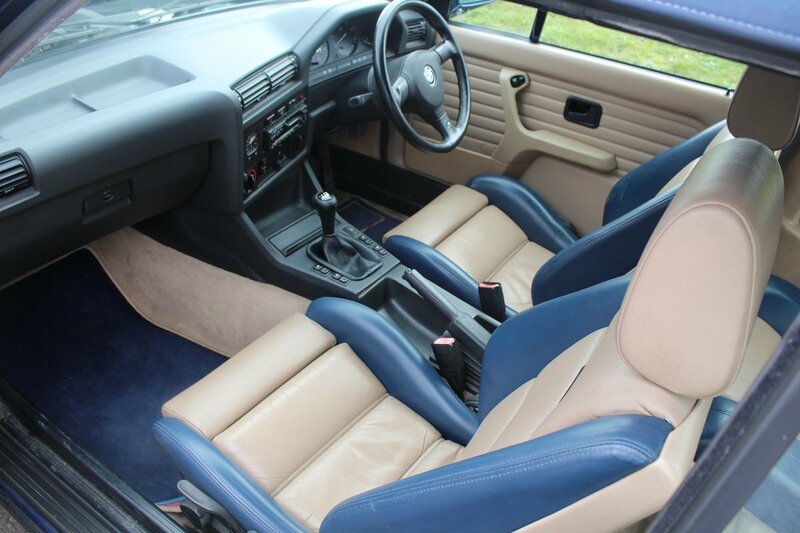 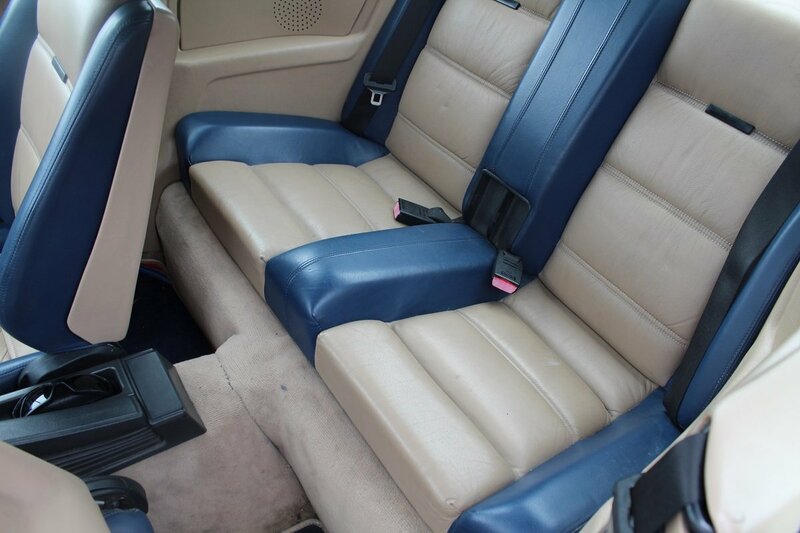 It has the M sport steering wheel and gear knob as well as matching blue and tan car mats! 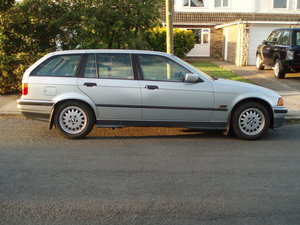 It has the original BBS cross spoke alloy wheels with tyres that have decent tread. 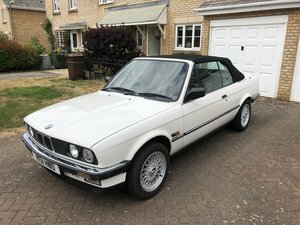 This car has quite a few original touches including, BMW glovebox torch, mostly complete toolkit, original first aid kit, original warning triangle and proper BBS alloy spare. 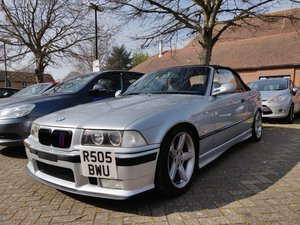 It also has lots of the original BMW dealer stickers on boot, in engine etc. 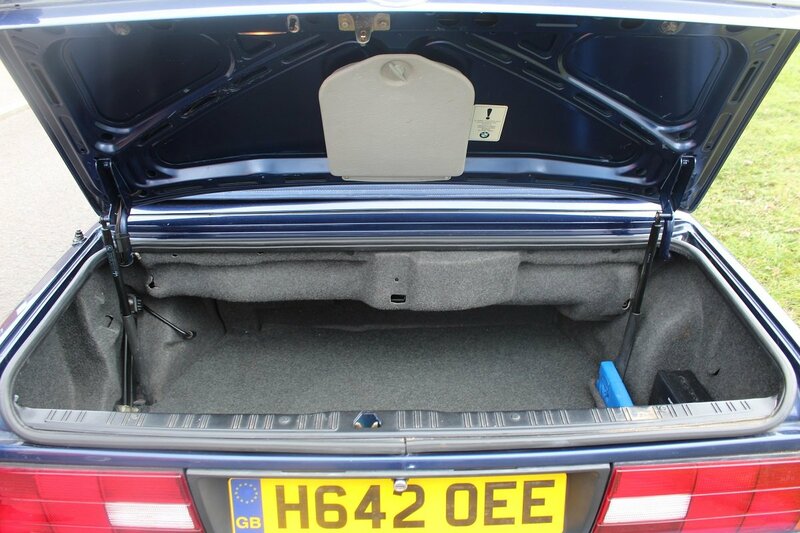 Included is an MOT printout, stamped service booklet containing 15 stamps, book pack and keys.